He works days and nights as an ambulance driver in Essex, he's a proud father of two and now - thanks to a call to the Kingston University Clearing hotline last summer - he's one step closer to fulfilling his dream of a career in formula racing. 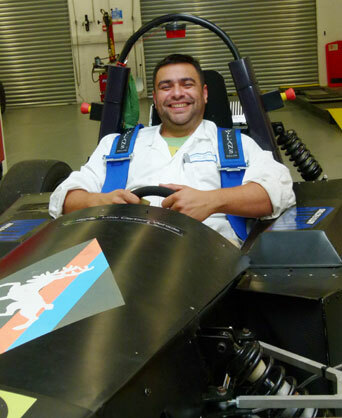 Mechanical engineering student Hugo Valencia Reyes has already been putting his lecture theatre learning to the test at the internationally-renowned Silverstone racing circuit. He joined a team of fellow Kingston students unveiling their design for an electric racing car to industry experts during the Formula Student international motorsport extravagana in July. "Being at Silverstone was one of the most emotional events of my life. 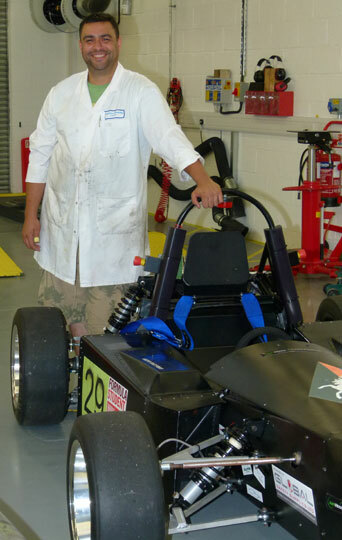 Every member of the University's e-racing team worked so hard all year for the project on top of our degree studies and I couldn't believe how far I'd come just a year after going through the Clearing process," he said. 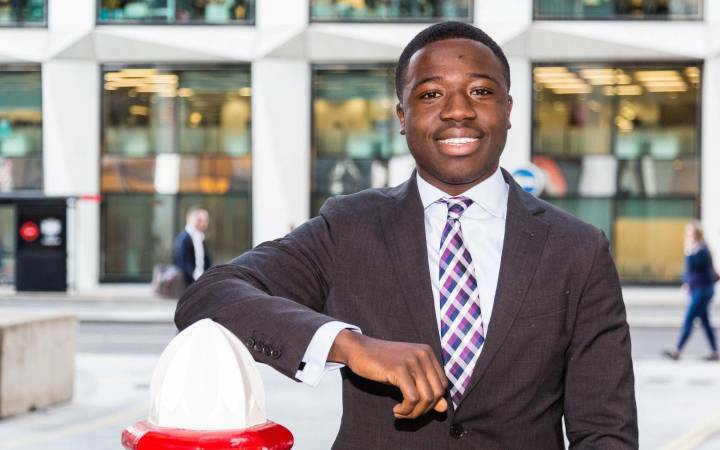 The ambulance driver from Ilford, Essex, admits he came very close to abandoning his dream of getting a degree for good when, for personal reasons, he was unable to complete his first year at another university. But, having already put himself through five years of part-time and evening study in preparation for a mechanical engineering qualification while also working full time, the 34 year old knew he had to try again. "I was in limbo but I didn't want to give up and was adamant I was going to reach my full potential," he said. "I wanted to show my children that it was possible to follow their dreams and achieve great things. 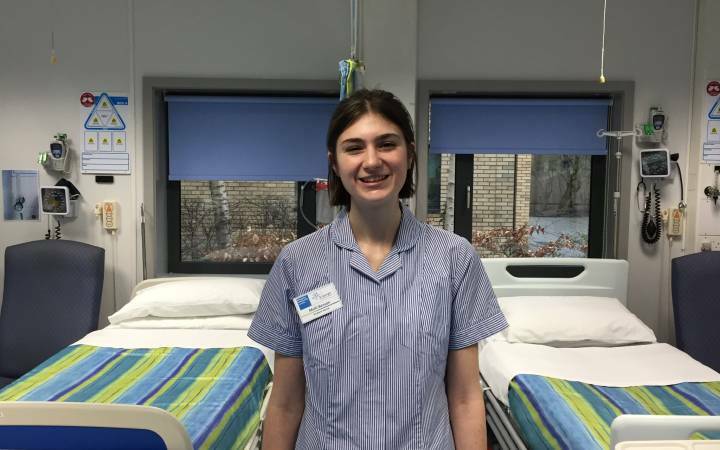 So I decided to try university again and, luckily, Clearing was there to give me the second chance I needed." Hugo was already familiar with the mechanical engineering degree at Kingston University having seen it in his original searches for courses. He phoned the Clearing hotline and waited for a call back from an admissions tutor to confirm his place. "It was nerve-racking. As a mature student, I was feeling the pressure of time - the clock was ticking on my career," he said. "The hotline operator put me at ease and took me through my options and, before I had time to worry any further, I was signing up for my BSc in Mechanical Engineering at Kingston University's Roehampton Vale campus." Even on his first day at Kingston University, Hugo was eager to find out if he could get involved in the Formula Student project. The international competition attracts teams from 141 universities across 34 countries and tests students to the highest industry levels. 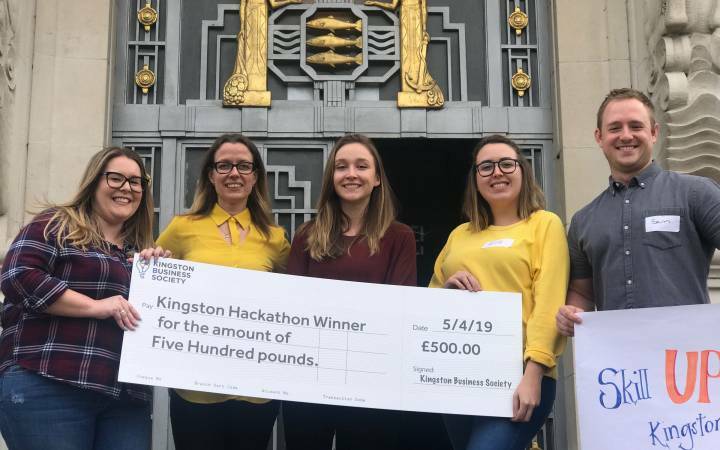 "I felt I could bring a lot of life and business experience to the project and, as Kingston hadn't entered for quite a while, I spotted an opportunity to get really involved and help shape the project from scratch," he said. Ten months on and, with the excitement of being at Silverstone still fresh in his mind, Hugo is now gearing up to see if the team can take part in international competitions held across Europe. "Working on a live project like Formula Student takes exactly what I've been learning and applies it to a real-life situation, and that's going to be invaluable experience when I graduate," he added. Principal lecturer Gordana Collier has worked with Hugo and witnessed his infectious enthusiasm for engineering first hand. 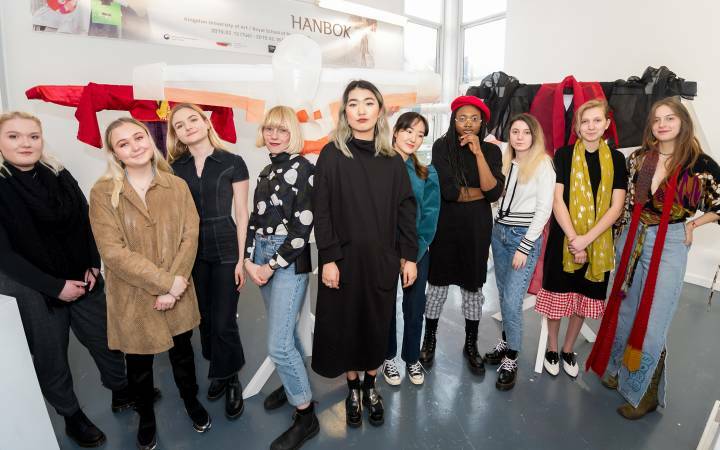 "Studying at degree level brings many opportunities and Hugo has poured an enormous amount of energy into making sure that Kingston University was represented once again at this prestigious international competition," she said. "Coming through Clearing is daunting, but it's worth persevering and pushing, like Hugo has done, to reach your goals. Hugo is now immersed in not only the course, but the industry too and he's developed a whole host of management skills by playing such a strong role in the Formula Student project as operations manager." Family man Hugo hopes his children, Indiana, four and Phoenix, two, will go straight to university after college. "I didn't really have a role model at that point in my life, and it's only later on that I have really come to understand the value that a university education can have," he said. "I want them to see what I have achieved and be proud of their dad. But, most importantly, I want them to understand the opportunities that are out there for the taking and go for it." Find out more about studying mechanical engineering at Kingston University.